A dull morning to early afternoon visit with occasional drizzle and a few brief sunny spells. 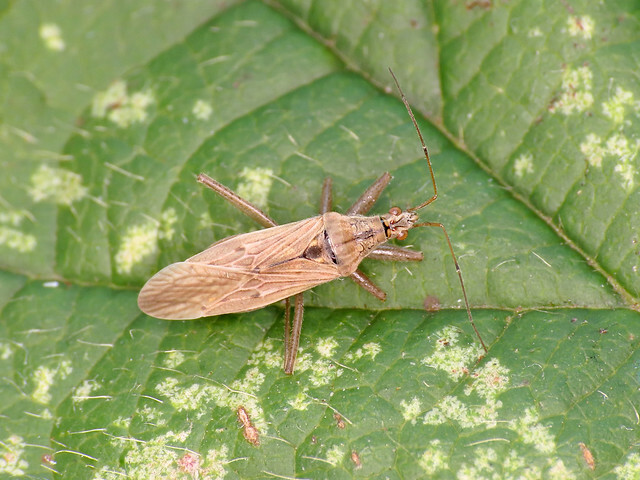 A gentle south-westerly breeze blowing with temperatures reaching eleven degrees C.
The light was poor today, though I did still manage to photograph at least one insect in the shape of Field Damsel Bug Nabis ferus along Dryham Lane. A Grey Damsel Bug Himacerus major was also present, though it didn’t want to sit tight for a photo. Some good birds on the reserve, two Jays Garrulus glandarius on the western extension being a nice addition the the year list. The Peregrine Falco peregrinus was also present and active again over the new workings. Along the northern hedge were a mixed flock of Buntings containing several Corn Bunting Emberiza calandra, Yellowhammer Emberiza citrinella and Reed Bunting Emberiza schoeniclus. Bullfinch Pyrrhula pyrrhula were present in the north-west corner of the reserve, as well as along the eastern edge of the Maize Field. The drake Mandarin Duck Aix galericulata was still present on Carp Lake.